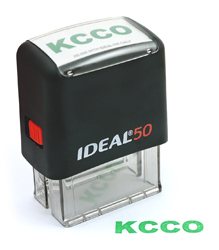 "KCCO" Ideal 50 Chive Stamp. Self-inking - No external stamp pad required! Comes in green ink. Impression area: 1/2" x 1-1/2"